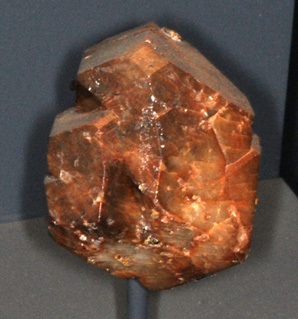 Zircon is a silicate of zirconium, ZrSiO4. 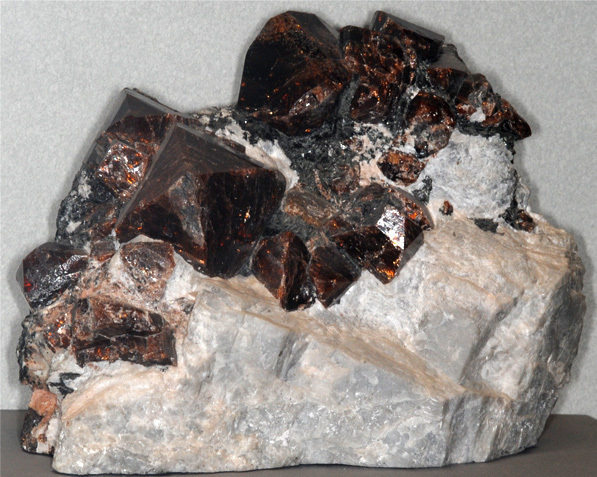 The sample above left is about 3x4 cm and is from Veshnovogorsk, Chelyabinsk Oblast, Urals, Russia. The sample above right is about 7x7 cm and is from Northern Territory, Australia. All these samples are displayed in the Smithsonian Museum of Natural History. Zircon is hard and durable, and tiny grains of zircon are found in granite and in many sands. 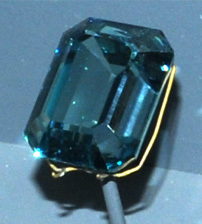 Zircon is used in radioactive dating of minerals in which it is found. 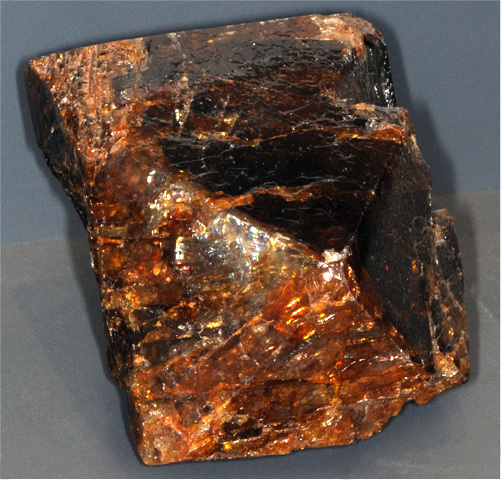 Zircon is the major source of zirconium, which is used to make synthetic gemstones. Zirconium is also used for the lining of the walls of nuclear reactors. Zircon has the distinction of being one of the few substances with a refractive index higher than diamond. 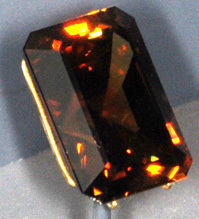 The zircon gem is 75.8 carats and is from Burma. The zircon sample at right is about 20x16 cm and is from Alta, Finnmark, Norway. 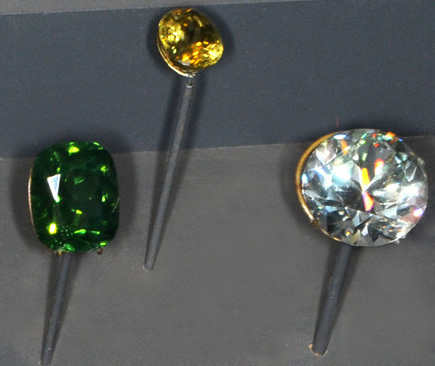 The collection above illustrates some of the variety of colors available from zircon gems. The two gems at left are 118 and 97.6 carats and are from Sri Lanka. The three at right are 49.2, 28.1 and 106.1 carats and are from Shantaboon, Thailand. The color of zircon gems can be changed by heating. The zircon sample at left is about 1x8 cm and is from Fine, New York. The gems are 23.4, 10.4 and 48.3 carats and are from Sri Lanka. The gem at right is 103.2 carats and is from Thailand.